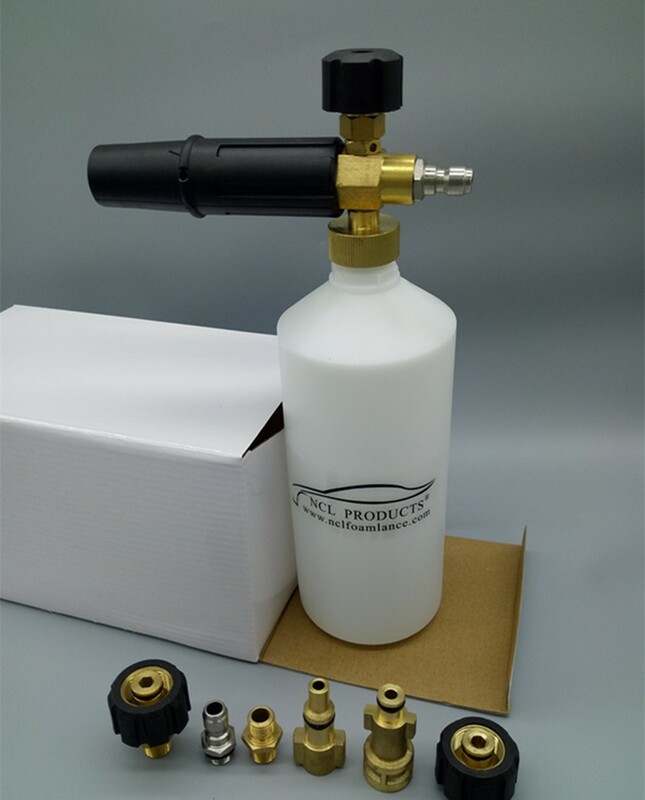 Tornado foam wash gun blows dustandsprays liquid byhigh pressure throughthe principle ofAerodynamics,This foam wash gun can be used in automobile interior leather, velvet, rubber, plastic, furniture and blankets, crevice, steering wheel, instrument table and so on. You can make things clean by justone spray,which makes your image is better and more professional when cleaning. Cleaning should be carried out from top to bottom, from the middle to the edge, first emulsified and then cleaned. Tornado foam wash gun must cooperate with interior cleaning to maximize the power. 1) when cleaning objects in the car, it is better to turn off the liquid valve first andthenblow the cleaned object. 2) openthe liquid outlet valve, then spray the diluted cleaning solution evenly on the cleaned object and emulsifyfor 10-15 seconds. 3) keep the distance between muzzle and cleaned objectfrom15MM-30MM and move and clean back and forth. If the stains are toohard to clean,use thesponge, and the effect is better. 4) absorb residual dirt and excess liquid with less moisture clean towel. 5) turnoff the liquid valve and blow cleaned object todry. The volume of the air compressorhad better to bemore than 60 litres. The air pipe should be used with that of 6.5*10MM’s. The air pressure should be kept at 6-8kgf/cm2 square metersunderthe best working condition. 1. working pressure should not exceed 10kgf/cm2, so as not to damage the cleaning gun. 2. beforecleaning, it is necessary to test if there is any damage to the cleaned objects, especially thoseold vehicles. 3. use special cleaning fluid to avoid damaging the parts of thewashgun. 5. after thecleaningis completed,washthe guns and place them in dry and ventilated places. More information about foam wash gun, please visit www.nclfoamlance.com.